This week’s redesign (I know it has been a while but now it’s back) is on NordicBet’s deposit page. 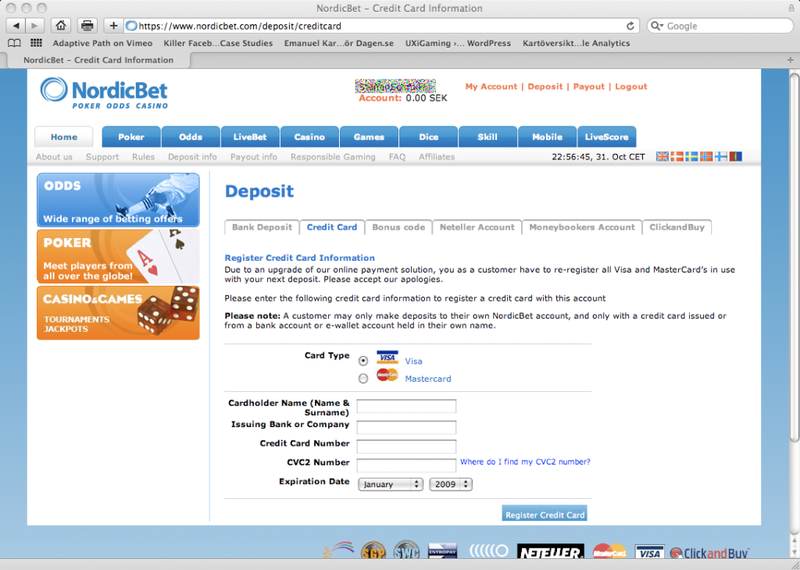 I signed up last night on NordicBet and the last step in the registration is the deposit page. 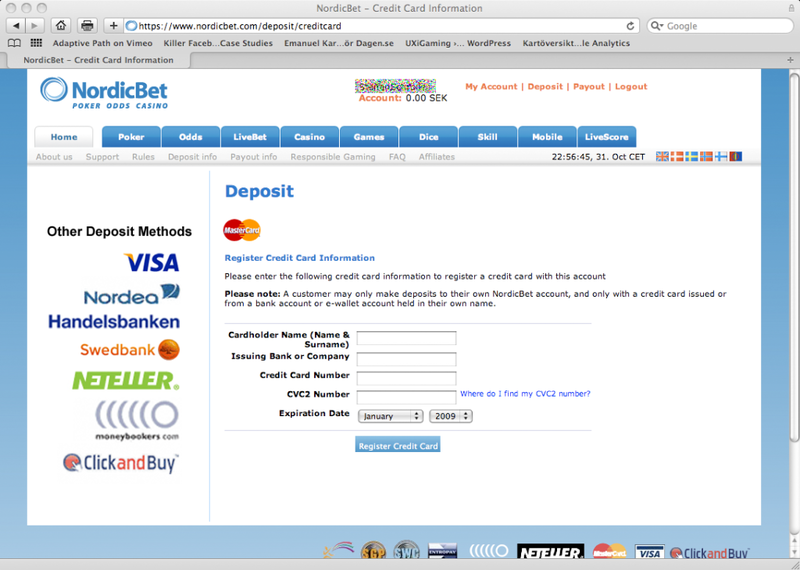 It took me probably over a minute to figure out if NordicBet had more deposit options than by credit card. The main task a player want to achieve when they go to the deposit page is to deposit money and we should help them do it! On NordicBet’s page they have some banner like links to the left which takes the attention from the task! And I also believe that the tabs showing the different deposit methods are not prominent enough. I’ve removed the “banners” to the left and also made hte different deposit methods more visible by having one choosen when you come to the deposit page and then to the left show the other deposit methods not just by their kind but rather by their logos. I believe that this will make it easier for the player to faster find their deposit method and make a deposit. NordicBet’s deposit page after the redesign. You’ll find my other redesigns here!